Having a good sign system involves more than placing a sign at every entrance and door. Our process considers such things as how to efficiently direct traffic throughout the facility, the facility's design, and how to address changes as they occur. Architectural Identification sales representatives, along with the trained consultants in our Sign Planning Department, are ready to assist with the planning and design of your sign system. 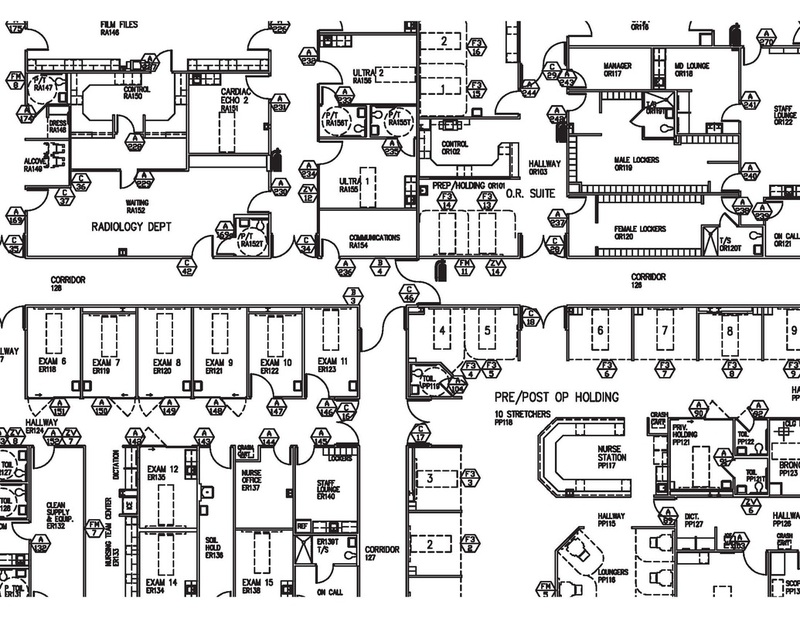 We use AutoCAD floor plans, provided by a facilities architect, to locate existing and recommended signage (see example in picture). In order to have a good wayfinding sign system you need to have a plan in place. Our expertise and professionalism will help you not only have successful signage, but also save you time and money in the long term. ﻿© Copyright 2018 - Architectural Identification Inc. - All rights reserved.